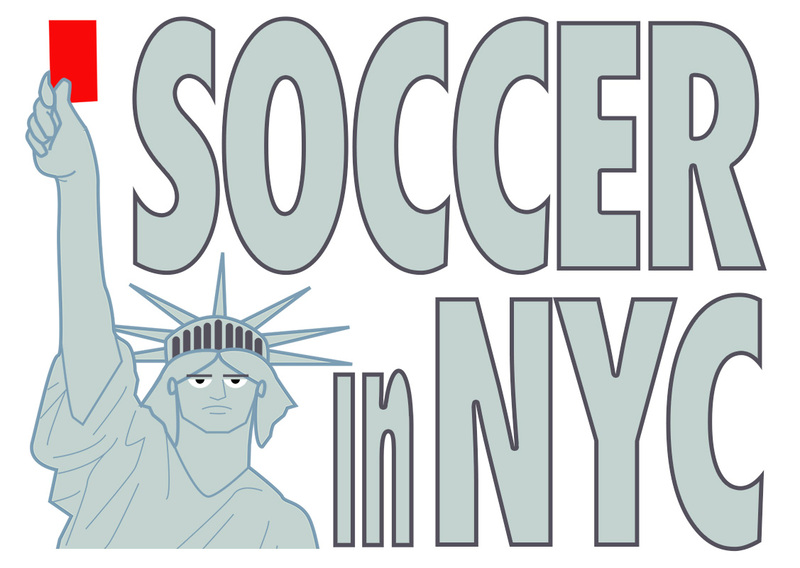 From June 12, 2014 to July 13, 2014 I traveled around the Five Boroughs (with a few forays into New Jersey) to see how New York City experienced the World Cup. I documented all my experiences here on DearGyan.com. Check out the full itinerary for the The World Cup Tour of NYC. I kicked off my trip in Manhattan’s “Little Brazil,” a sterile gray block that swarmed with yellow-kitted Brazilian fans celebrating the start of the tournament. A month later, I stood along the East River at a huge German viewing party when Die Mannschaft defeated Argentina to claim Germany’s fourth World Cup title. In between, I visited West African eateries along 116th St., a dynamic Iranian viewing party in the West Village, an unexpected Costa Rican gathering at a party hall in Dover, NJ and a Croatian bar packed with hooligans in Astoria. All told, I visited 25 unique soccer spots in and around NYC — a different bar, restaurant, party or cultural center every day that there was a match. I named my blog in honor of Ghana’s Asamoah Gyan, who stood out to me as the most memorable player from the 2010 World Cup. When the tournament started, I wondered who would be my 2014 Asamoah Gyan, the person who defined the tournament. I figured I would find him or her somewhere off the 7-Train or amid a crowd in a cramped African restaurant. But looking back, how could I choose just one person? One place? One match? I had an incredible month and I couldn’t imagine a better city to experience the World Cup than New York. Every day during the 2014 World Cup, I visited a different bar, restaurant or cultural center in and around NYC to watch the tournament. Each site corresponded with at least one team playing in the game. Friday, June 27: Time to relax. Wednesday, July 2: Back to the Mets. Thursday, July 3: Alright. Enough of that. Monday, July 7: No game. Semifinals tomorrow! Tuesday, July 8: Brazil 1 – 7 Germany in Bryant Park. Unbelievable.